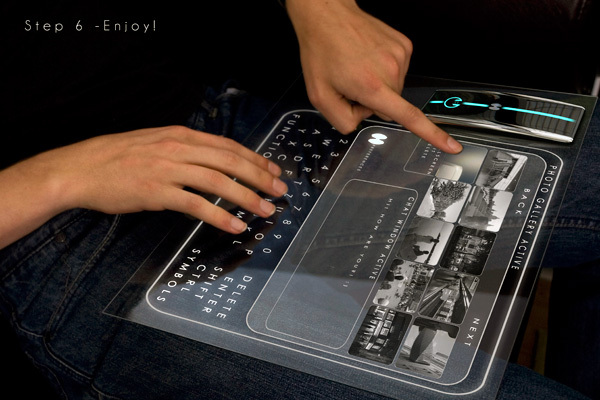 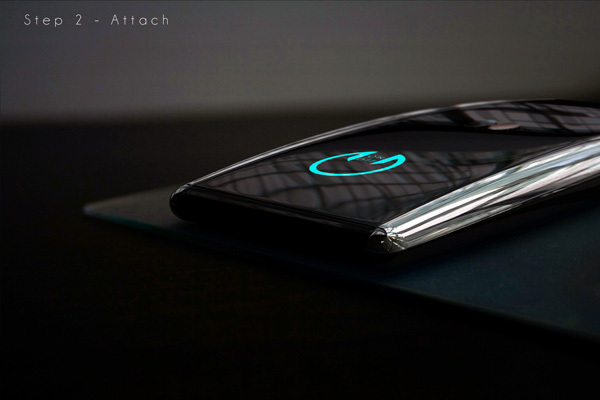 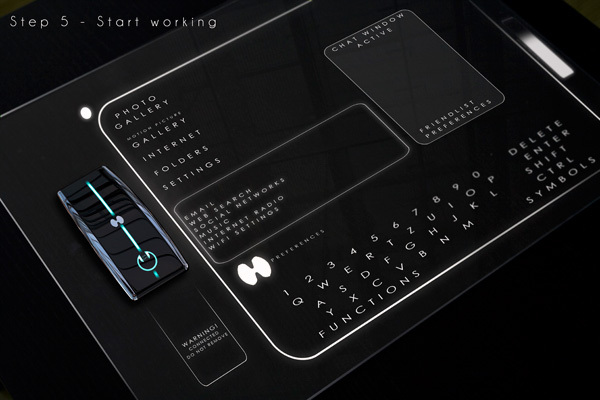 This concept computer-of-the-future by designer Jakub Záhoř allows the user to operate the device anywhere they can find a glass surface. 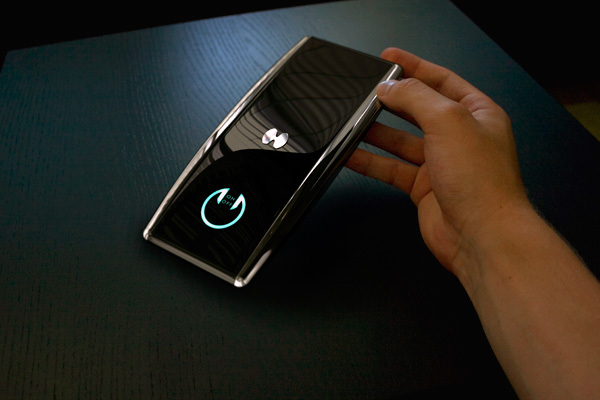 The user simply attaches the central unit to any glass surface like a window or coffee table, switches on the power, and watches their system light up before their eyes. 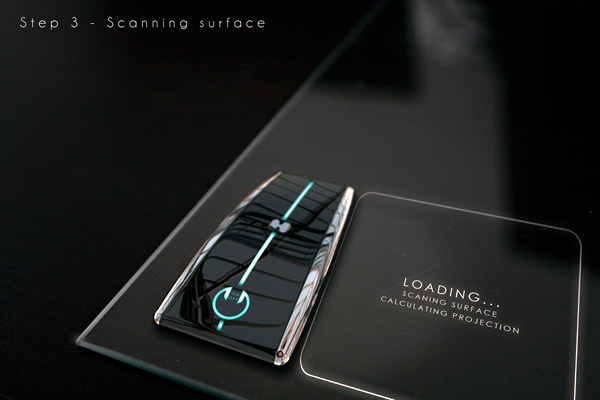 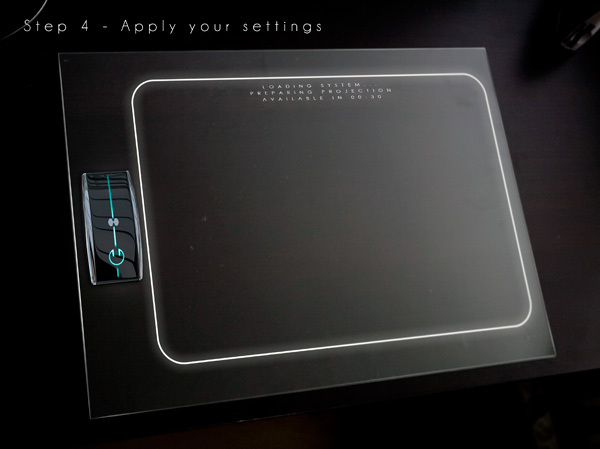 The display appears as an interactive hologram on the glass that the user merely has to touch to operate. 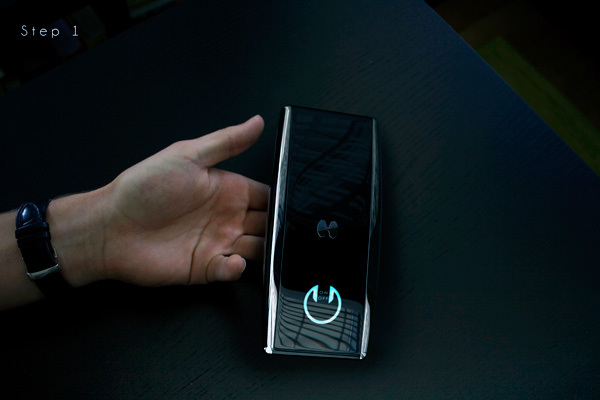 It also makes for an easy, take-anywhere way to project photos and presentations or stream movies.